A smart, efficient design makes the Eco Net Enabled Rheem Classic Plus Series Two-Stage Air Conditioner one of your best options for staying cool inside. Each new unit includes a generous list of features that work together to bring you quiet, efficient and reliable indoor comfort. With a Rheem Gas Furnace, you’ll enjoy a perfect balance of comfort, efficiency and reliability ,The Rheem R95T Classic Plus™ Series Gas Furnace offers a more reliable way to keep your home just the way you like it. It’s designed for energy-efficient comfort that will save you money and give you peace of mind. You won’t have to give your new gas furnace a second thought. The Rheem 3 phase RKKL Package Gas/Electric units feature earth-friendly R-410A refrigerant. This platform provides you with a full line of capacities that are each AHRI-certified. The design is certified by CSA International.All of our residential/commercial package units, regardless of efficiency level, feature the Scroll Compressor. Now here is a furnace that you can always rely on. in the coldest winter months. This furnace is tough and it will not let you down. Rheem furnaces have been around a long time. When I install a system in a home. Most likely it's going to be 25 years before I install another one. 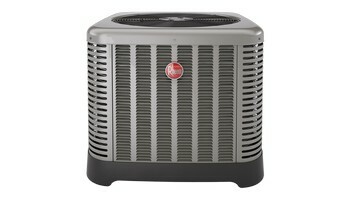 Rheem forced air systems are reliable, dependable, and a very tough forced air systems. I have seen so many of them that are not serviced for years. They look in terrible shape. But once you get them service cleaned unchecked. These forced air furnaces when maintained are great systems. The Price is Right Heating and Air Conditioning company. Our services and installs of Rheem furnaces are done very professionally 100%.. When you install a Rheem furnace you're bringing reliability in your home. You are assuring that this Rheem furnace system will always keep your home comfortable. 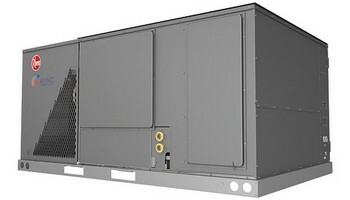 These are one of the best forced air systems that are out there today. Their controls are Universal. Easy to find and very easy to change out. Rheem furnaces last a long time. Especially when they are serviced and maintained. Then they last even longer install a Rheem furnace today. 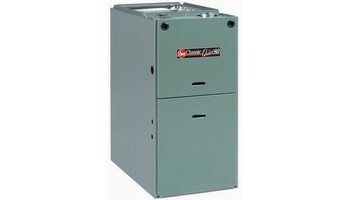 We are one of the most reliable furnaces that are out there today. The way rheem furnaces are maid and engineered today. This is why they last for many many years. The heat exchanger is mane super thick It holds the heat a lot longer. Then many other furnaces. With the proper furnace install. This is one of the reasons that makes Rheem furnace system efficient. The Price is Right Heating and Air Conditioning company. We have been installing Rheem 80% efficient furnaces for the last 20 years. They are very dependable and reliable and will last you a long. Our Rheem furnace installers are hard-working professionals that do Superior furnace installing. Rheem furnaces are there specialty. But they also install other name brand furnaces. These guys are HVAC specialist. We've installed Rheem furnaces for 20 years. They are very dependable and long-lasting systems. Install a Rheem furnace today.